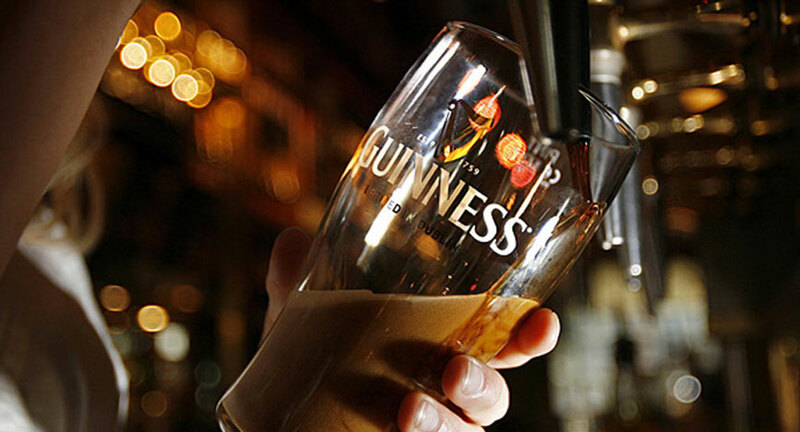 Fiddler’s Green offers a wide array of authentic Irish pub menu items for you to enjoy! 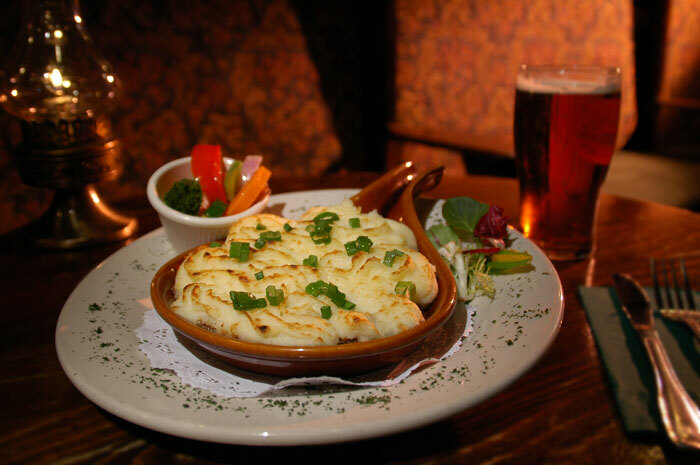 Whether you’re in the mood for Fish & Chips or a hearty Shepherd’s Pie, Fiddler’s Green is sure to satisfy. 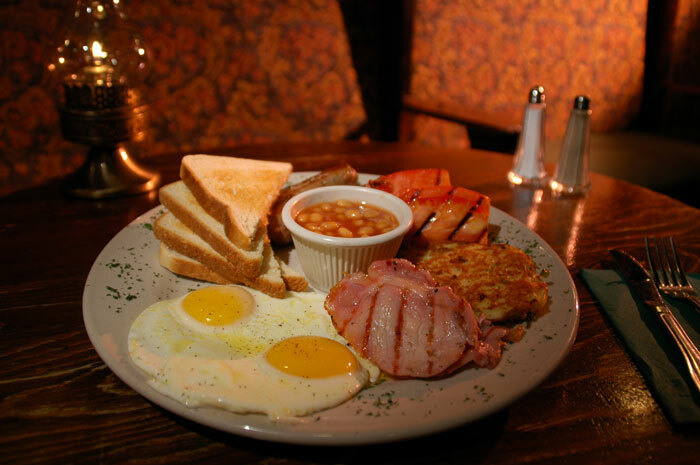 Below are some of our top rated food items! There’s something for everyone at Fiddler’s Green. An Irish country favorite of fresh bread, baked in a custard and served with a whiskey caramel sauce. Ten large chicken wings, split, fried crisp and tossed in our own special sauce. Served mild, medium or hot with a Bleu cheese dressing and vegetable crudités. Lightly seasoned, fresh, chicken breast grilled and served on a crusty roll with lettuce, tomato and sliced onion. The Irish version of a steak sandwich, with sweet onions and peppers. A Galway race favorite. Thinly sliced and piled high on our crusty roll. Add .50 for Swiss or Cheddar cheese. Crisp romaine lettuce tossed with our own Caesar dressing, parmesan cheese and croutons. Can be served with grilled or smoked salmon, or grilled chicken. Our chef's own recipe for delicately smoked fish served with assorted crackers. Tender fingers of fresh chicken, marinated in buttermilk and lightly battered, fried crisp and served with a classic Irish honey and mustard sauce. Fresh steamed spinach lightly seasoned and blended with four cheeses and served with corn chips. A delicious burger served perfectly plain. A juicy burger topped with your choice of Cheddar or Swiss Cheese. Glazed with a zesty barbeque sauce and crisp fried onions. Served with fries. Our premium burger topped with imported Irish Bacon and Cheddar Cheese. 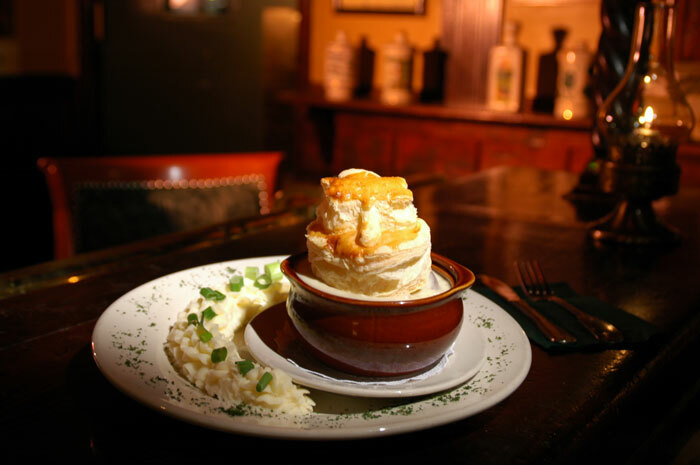 An Irish twist on cobbler, baked with an oatmeal topping and served warm with vanilla ice cream. Traditional Irish potato pancakes with sour cream and chives. Can be served with melted cheddar and smoked salmon. Ten large chicken wings, split, fried crispy and tossed in our own special sauce. Served mild, medium, or hot with Bleu cheese dressing and vegetable crudités. Delicately smoked salmon, sliced thin and served with minced shallots, capers, chopped, hard-boiled egg and assorted crackers with garlic cream cheese on the side. Jumbo, rope-cultured mussels steamed in white wine, lightly seasoned and finished with a touch of cream and fresh chives. 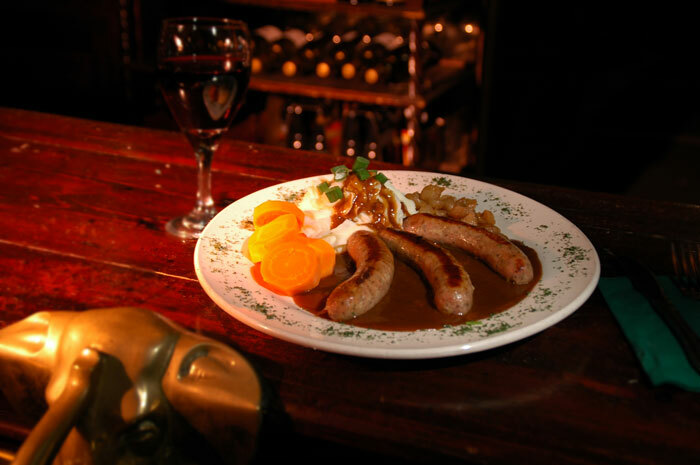 Traditional Irish pork sausages, imported from Ireland, grilled and served with champ, caramelized pearl onions and brown gravy. Choice ground sirloin, lightly seasoned in a rich, brown gravy, topped with champ and served with fresh vegetables. Available with grated cheese topping. 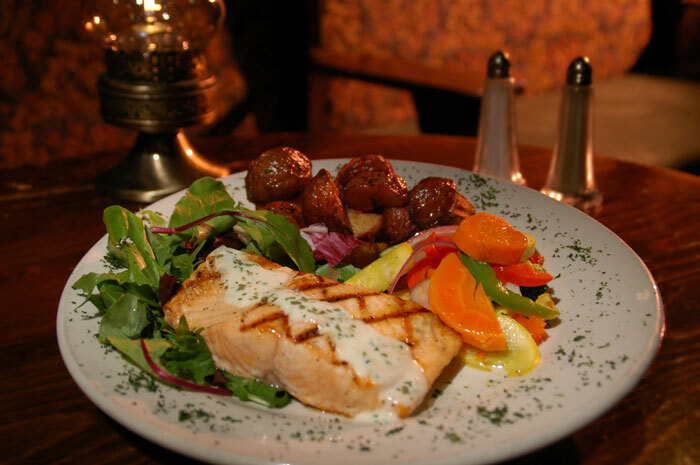 Fresh salmon fillet, grilled medium-rare and served with Tarragon white wine sauce. Served with fresh vegetables and choice of potato. Grilled, center-cut 12 oz. Angus strip with Irish Whiskey sauce, choice of potato and fresh vegetables. Tender chicken, carrots, celery, and onions seasoned in a thick gravy served in a crock with a pastry crust and champ. Traditional Irish Stew, authentically prepared with lamb, potatoes and carrots with a hint of thyme. Served with fresh rolls. 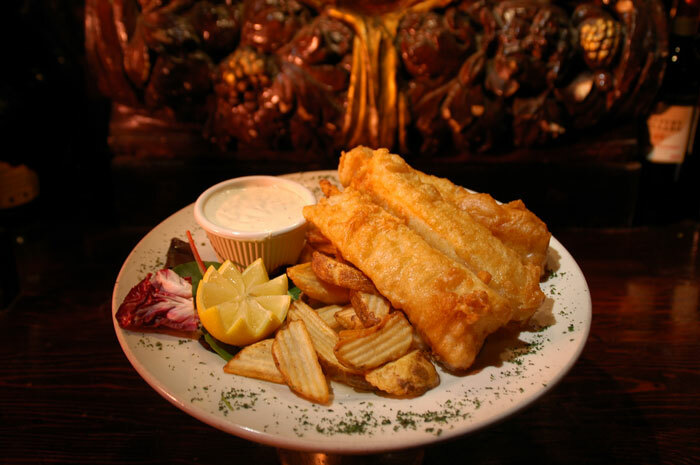 Delicate white fish dipped in beer batter, fried, golden-brown and served with potato wedges and homemade remoulade sauce. Breast of tender chicken stuffed with herb dressing, lightly seasoned, roasted, carved and served with our homemade Bunratty Meade Sauce. Served with fresh vegetables and choice of potato. Lean corned beef served on a bed of steamed shredded cabbage with carrots, potatoes and caramelized pearl onions, finished with a delicate parsley sauce.